Are you a college student interested in event management and production, marketing and communications or sponsorship development? Are you able to thrive in a fast-paced office environment? Do you love following the top level of equestrian sport? Apply for the opportunity to intern with the Washington International Horse Show and learn what goes into producing the country's leading metropolitan indoor equestrian event. WIHS interns gain valuable professional experience and learn about all aspects of our business, including event logistics, operations, sponsorship, hospitality, marketing and communications, while earning credit towards a college degree. WIHS is currently accepting applications for part-time, unpaid internships at our Washington, DC office throughout the 2015 calendar year. 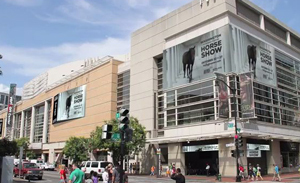 The 57th Annual Washington International Horse Show returns Oct. 20-25, 2015 to Verizon Center, Washington, DC.